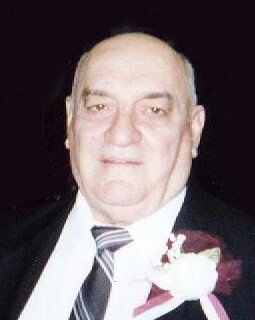 Augusto “Gus” Correia, Sr., 82, of Milford, passed away on November 28, 2018. Born on May 13, 1936 in Bridgeport, CT, he was the son of the late Adriano and Maria Gonsalves Correia. August is survived by his son, August “Gussie” (Holly) Correia, Jr.; his sister, Ida Correia; his grandchildren, Richard (Joanna) Correia, Suzanne (Aaron) Krasnow, Jessie (Paul) Sampson, Jeffrey Correia, and Nicholas (Crystal) Correia, Sr.; his great grandchildren, Tyler, Sean, Bella, Destiny, Wyatt, Jeffrey, Addison, Nick, Jr., Christian, Brianna, Bella, and Mia; his best friends, Walter and Rose Zimnock; and his nieces and nephews, Anthony (Kim) Correia, Adriano (Rachel) Correia, and Michael Correia. In addition to his parents, Gus was predeceased by his brother and sister-in-law, Adriano “Andy” and Moodga “Ott” Correia, Jr.
A Mass of Christian Burial will be celebrated on Saturday, December 1, 2018 at 10:30 a.m. at St. Mary Church (Precious Blood Parish) 70 Gulf St., Milford, CT (MEET DIRECTLY AT CHURCH). Interment will be private. Friends and Family may call from 5 p.m. to 8 p.m. on Friday, November 30, 2018 at CODY-WHITE FUNERAL HOME, 107 Broad St., Milford, CT. In lieu of flowers, memorial donations may be made to the Childhood Leukemia Foundation at www.clf4kids.org.